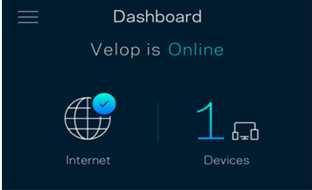 Velop is an Intelligent Mesh WiFi System that is made up of modular nodes, which work seamlessly together to fit the needs of any home and deliver flawless Wi-Fi wherever you want it. The family of nodes comes in various sizes that work perfectly together and are beautifully designed to blend in any environment, making it easy to customize the best Wi-Fi solution that’s right for you, regardless of your home shape, size or wherever your internet comes in. And, with superior tri-band performance and Intelligent Mesh™ technology that adapts your Wi-Fi needs, you’ll always be on the fastest path to the internet. This article will help you change your Velop admin password. 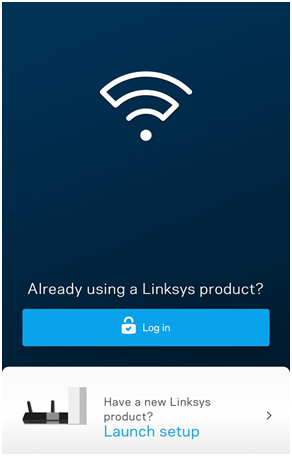 If you want to change the password of your Linksys cloud account using the Linksys app, click here. During setup, Velop creates a secured system-generated admin password (this secured password is not visible). You must change this password to log in locally. 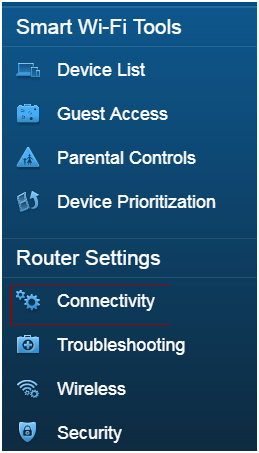 Enter your Linksys cloud account credentials and tap Log in to access the dashboard. NOTE: If you are unable to log in to the cloud or if the cloud happens to be down, you will need to recover your admin password. Click here for instructions on how to recover your admin password. Tap Change Velop Password and Hint. 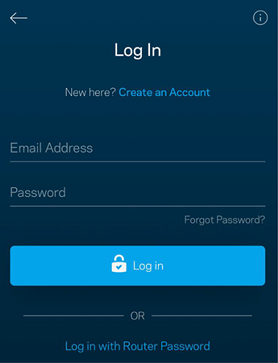 Enter your new password in the field. You can also create an optional password hint. QUICK TIP: An automated email will be sent announcing the admin password change. You should now have changed your Velop admin password. Open a web browser to access the Velop’s web interface. For instructions, click here. On the Basic tab, click Edit next to Admin Password and enter your preferred password. 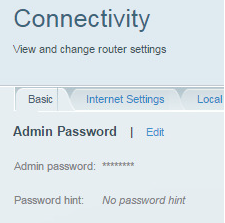 You can also add an optional Password hint. Click the button to save the changes.